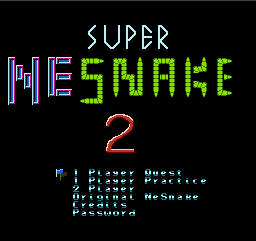 Get longer with Super NeSnake 2! In this classic snake game, eat numbers to make your snake longer! 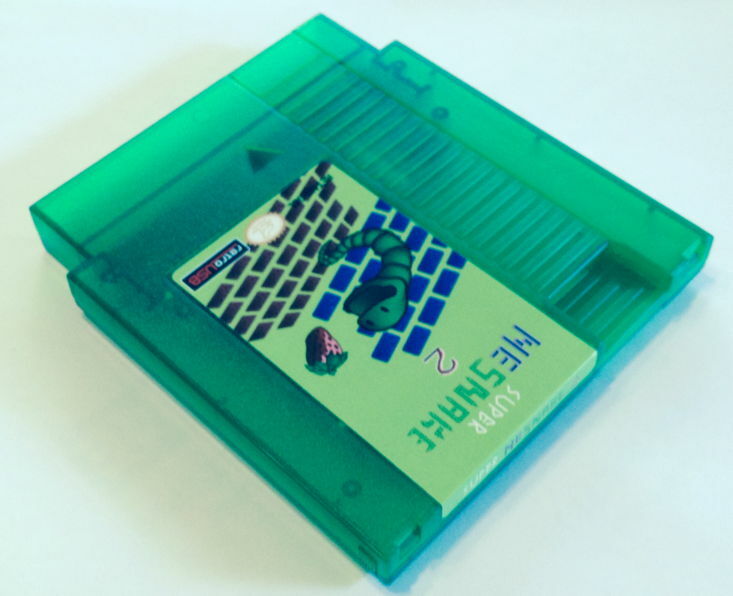 Battle through 25 obstacle filled levels with precise movements to survive. Three difficulty levels keep the challenges coming faster each time. Once you have mastered the movement, play with a friend in vs or cooperative mode, or play against the computer. Can you slither your way to greatness? 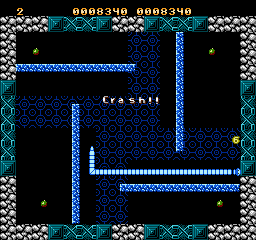 This homebrew first appeared as an entry by Matrixz in the 2004 Minigame Competition. 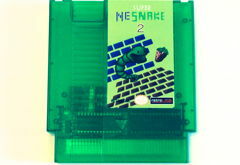 That original NeSnake is also included on the cart! Updated graphics, more levels, and extra game play modes make this one of the best homebrews yet. When you are done playing, a simple 4 character password lets you keep your levels unlocked for continuation later. 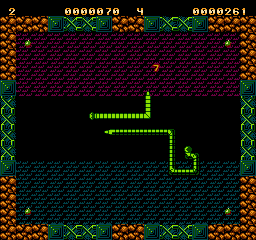 Super NeSnake Intro In game munching numbers Slither around other players! Works on clone systems like the Yobo and FC Twin. May not work on all NEX systems.